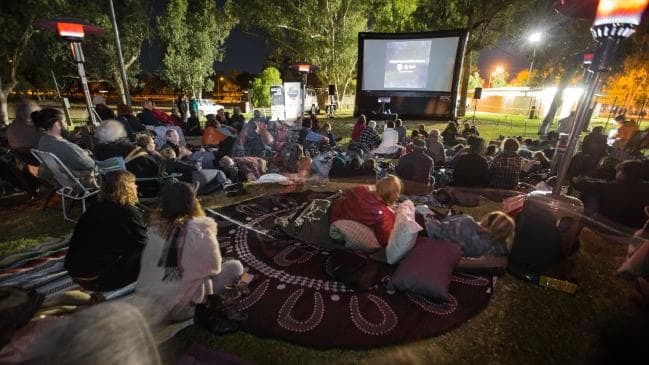 The Northern Territory Traveling Film Festival has been a huge success with screenings in Alice Springs, Tenant Creek and Kakadu. Most of the movies screened were from indigenous producers and were of a very high quality. Being the outdoors, the appropriate cinema screen used was an inflatable outdoor movie screen. The audience was super comfortable sitting on beach chairs and rugs on the ground which of course is mostly desert!